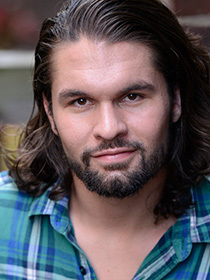 Joseph, originally from Minnesota, recently moved from West Virginia where he received his MFA in Acting at West Virginia University. His previous shows at WVU include The Three Musketeers (Cardinal Richelieu), Assassins (John Wilkes Booth), Pericles (Lysimichus/Thaliard/Leonine), Trojan Women (Menelaus), Venus in Fur (Thomas), and The Beaux Stratagem (Archer). Cassio will be his debut role in the Tampa area, and he is incredibly grateful to be working with Jobsite, David Jenkins, and the entire cast and crew. Joseph received his BFA in Theatre from Viterbo University.